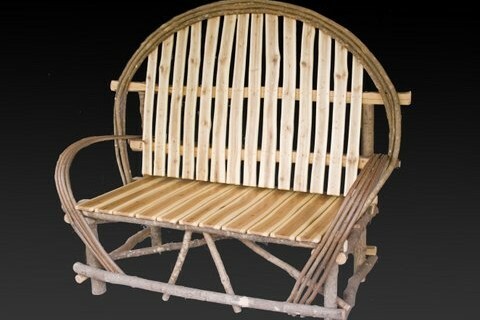 rustic style love seat. hard maple frame with the bark on. split ash slats for the seat and back. curved arms and back are hasel and small ash twigs.